Inspiring business leaders from the private sector are featured in a new publication ‘Champions for Change’ published jointly by the Women’s Forum for the Economy & Society and The Irrawaddy. On International Women’s Day, we share profiles from the book of key individuals who are helping empower women in the workplace and beyond in Burma. 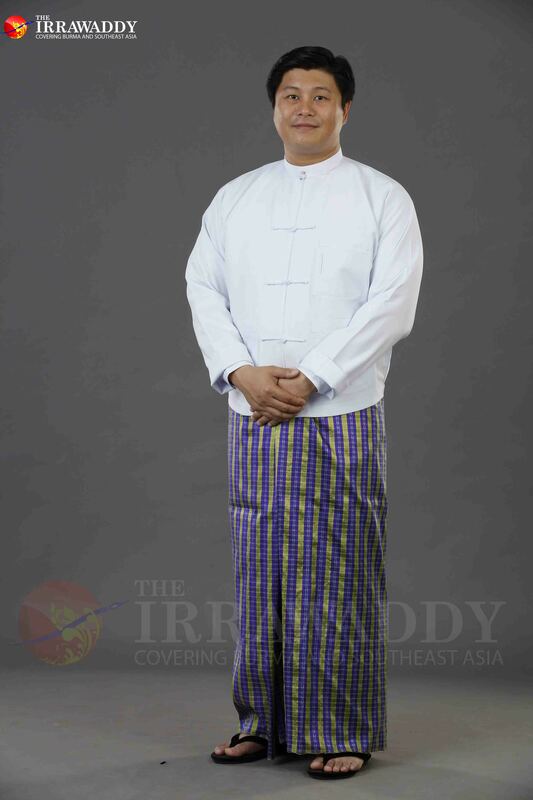 Yin Myo Su is the managing director of the Inle Princess Resort in Shan State and the Mrauk-U Princess Resort in Arakan State. She is also the founder of the Inle Heritage Foundation. It’s also her suggestion for others working to promote equality in their businesses. She believes that her enterprises would not be in the strong position that they are now had she treated her male and female employees differently. 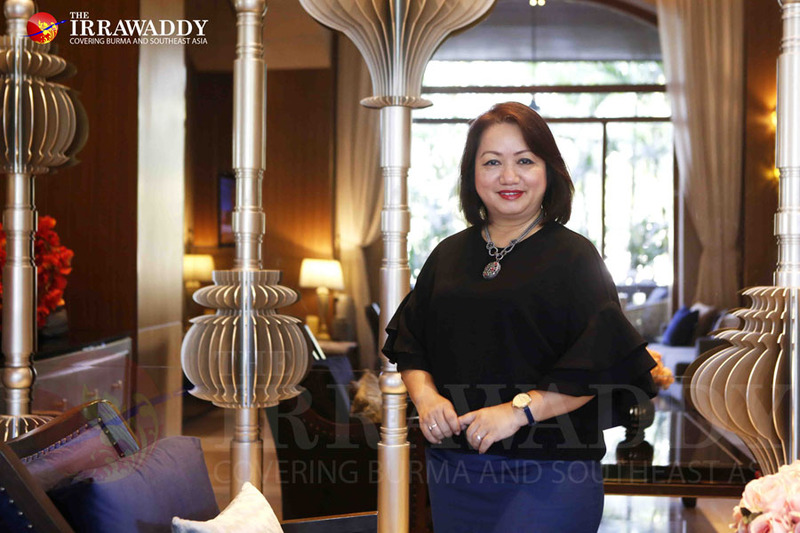 If she had, she doubts that she would have achieved the productivity, mutual understanding and respect with her staff that has contributed to her hotels’ advancement locally and internationally. One trait that bothers her most is the “macho” sense of pride often unknowingly fostered by parents in their sons, for whom they generally have higher expectations than for their daughters. As a result, she said, it places men in the role of “protectors,” and girls are treated as weak, and in need of protection. “It’s so wrong,” she said, adding that if women are independent—financially and socially—then so are men, as they no longer feel obligated to look after women. “You should know that my liberation as a woman is tied to your liberation as a man,” Yin Myo Su said. Phyu Ei Thein is the founder of the Sunflower Group and the Sunflower Weaving Studio. For Phyu Ei Thein, giving jewelry-making trainings to women in internally displaced people’s camps in war-torn Kachin State is about more than creating fashion accessories. She thinks such activities—crafting earrings, necklaces and bracelets out of amber and other local stones—are more meaningful than the seemingly endless peace dialogues in conference rooms, where grassroots voices are often conspicuously missing. “It is an individual peace process,” said the founder of the Sunflower Group, explaining that women in the camps can forget their troubles and despair at least for a short while when they are making jewelry. “They feel happy when they earn money from their products, which are sold back in Yangon. Plus, they are ready to make a living [from the craft they have learned] when they are able to settle back in their homes again,” she explained. 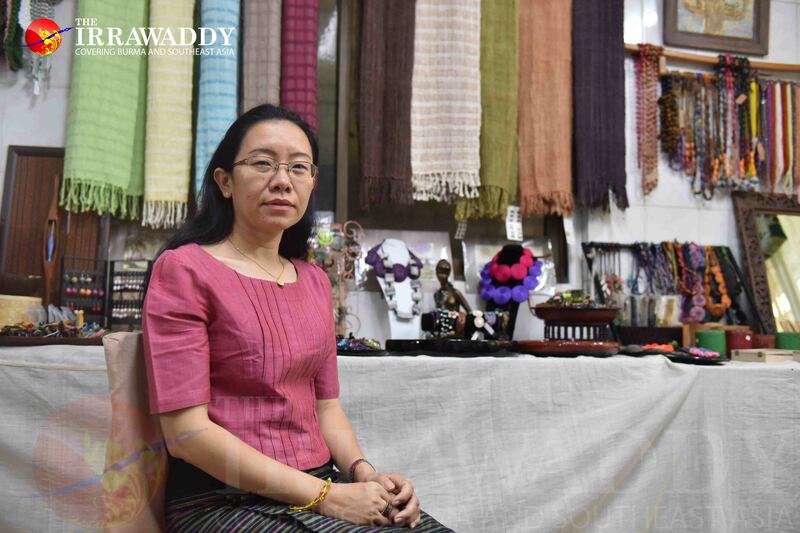 Apart from giving trainings to nearly 50 women in the camps, Phyu Ei Thein, 45, has run a hand-woven textile business as a sustainable development program for more than 10 years. Her Sunflower Weaving Studio encourages young women, particularly those from rural and border areas, to join weaving schools by offering stipends and job opportunities after the training. She said that she doesn’t want them to end up working in karaoke lounges and migrating to other countries like so many others who feel it is their only way to make a living. Nang Lang Kham is the executive director of KBZ Bank. When it comes to issues of equality and anti-discrimination, conventional wisdom has it that government must set policies, and NGOs will implement them. But Nang Lang Kham says that in this framework, the participation of business leaders and employers is generally overlooked. The 29-year-old believes that embracing diversity in the business world can lead to greater productivity. In 2016, for the first time in the bank’s 22 years of operations, she dropped the requirements regarding gender, age and marital status from job announcements. Currently, 51.54 percent of positions above the level of assistant general manager are held by women. The organization is planning to adopt a formal policy regarding inclusivity later this year, in order to encourage staff to pursue leadership roles. Specifically, Nang Lang Kham emphasized that she does not want anyone to be held back because of their gender or because of a disability. “Bank customers are diverse. There will be more understanding between us and the customers if we are a diverse organization providing services to people with different backgrounds,” she said. Charles-Edouard Bouée is the Chief Executive Officer at German consultancy firm Roland Berger, and member of the global YPO leadership organization for chief executives. For Charles-Edouard Bouée, focusing on gender equality is a vital step in building a truly diverse company. As a leading consulting firm, he said, Roland Berger aims to be at the forefront of gender equality; the company is convinced that diversity better enables a company to understand the marketplace. He added that an awareness of gender-related issues also significantly increases Roland Berger’s attractiveness as an employer to potential job candidates. “As a global firm, we must strive to implement the best practices from around the globe when it comes to strengthening the position of women in our organization—and we are working on it,” he said. Bouée said that Roland Berger provides special leadership and development trainings to assist women in accessing senior positions at the company. The firm has also strengthened its efforts to recruit female candidates at all levels. Creating an environment where female consultants can share their doubts and questions is key to ensuring that Roland Berger capitalizes on opportunities to improve its practices, he said. He also noted that it was crucial to involve male team members as much as their female colleagues in order to hone approaches to “work-family balance” and to make the company a better workplace for everyone. 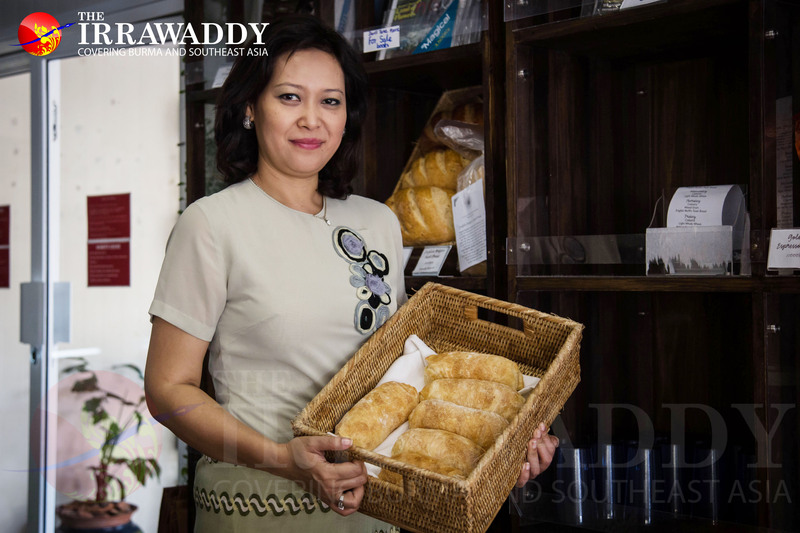 Phyu Phyu Tin is the co-founder of the social enterprise Yangon Bakehouse. If she were to pass away at this point in her life, Phyu Phyu Tin says she would be satisfied with what she has accomplished in her work. For the past five years, the co-founder of the Yangon Bakehouse has provided catering apprenticeships designed to empower women. During the paid 10-month training, Phyu Phyu Tin’s students—including ex-convicts with few job prospects and women with very little formal education—learn how to bake European bread and pastries. They also study reproductive health, family financial planning and build their self-confidence. “On my deathbed, I would feel relief thinking about the changes I brought to them and seeing their faces in my mind’s eye,” Phyu Phyu Tin said of the women she has worked with at the social enterprise. Some of her students described facing negative reactions from their husbands and fathers in response to the steps they took to earn more economic and social independence through their work with the Bakehouse. Phyu Phyu Tin encouraged them to defy these limitations. Yangon Bakehouse has a high graduation rate. More than 80 percent of its students have completed the apprenticeship program and have gone on to earn higher paying jobs as chefs, bakers and permanent workers at the Bakehouse and at other restaurants and cafes in the country. “To become a good man or a good woman is not possible without being raised by a good mother. So we empower women to change their lives and their families’ lives for the better,” she said. 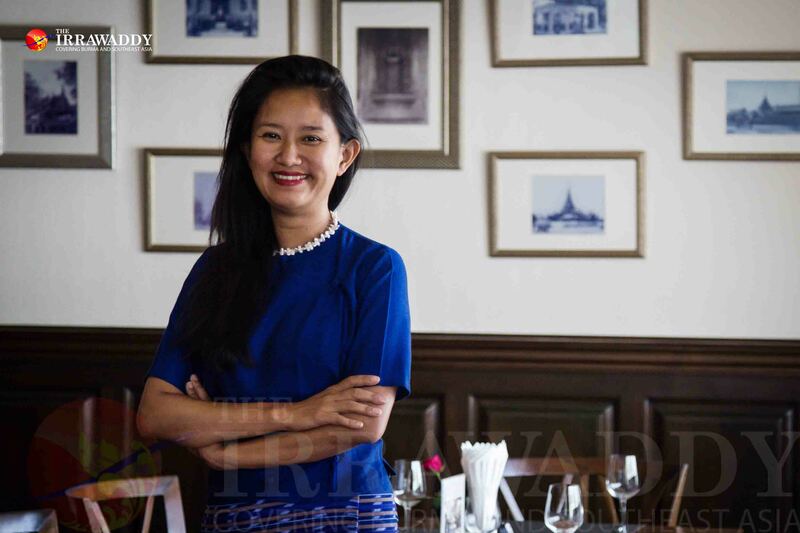 May Myat Mon Win is the general manager at the Chatrium Hotel Royal Lake Yangon. May Myat Mon Win feels it is up to women to put themselves to the forefront of leadership roles and to define their own life priorities. While her hotel does not have its own specific program to promote gender equality, May Myat Mon Win said that its status as a member subscribing to the United Nations Global Impact framework—which lists principles for business regarding labor, rights, the environment and anti-corruption—means that it strives to be non-discriminatory. As women advance in their careers, however, May Myat Mon Win said she sees them facing unique challenges because of converging pressures at home and at work. 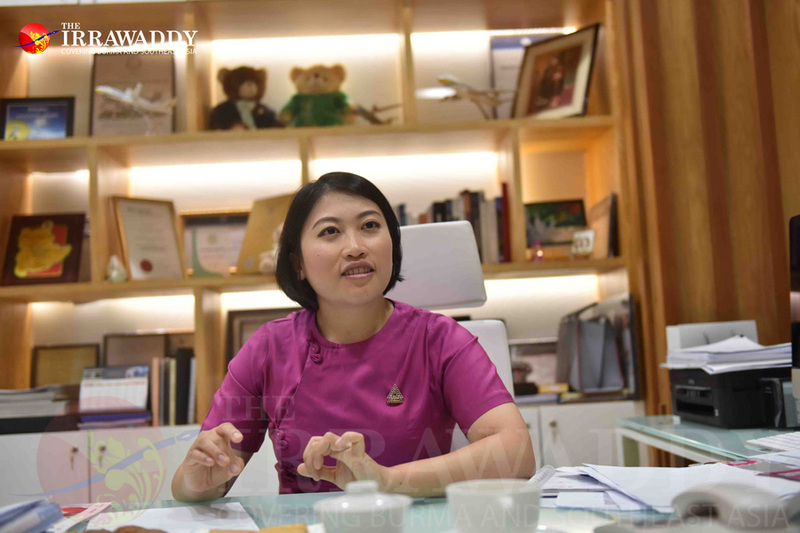 Wai Phyo is the managing director of Yathar Cho Industry Ltd.
Wai Phyo believes men must allow for equal chances to be given women, for the sake of developing the country. “Men must not think that women are unable to do anything that men are doing. Actually, women have better abilities than men in many sectors,” he said. The young entrepreneur, manufacturer and distributor of Yum Yum, the country’s leading instant noodle brand, said that there’s no discrimination in his factory, and that the company has promoted gender equality since it first opened in 1997. Wai Phyo created an in-house nursery and daycare center for the mothers at his factory, to encourage skilled women laborers to continue working, while assuring their social welfare. He said there are many patterns in Myanmar culture and tradition that bar women from fully participating in the world. For example, a businesswoman might have social engagements with both male and female business partners, but fraternizing with male colleagues is often frowned upon. “Our society’s cultural view is that women should not hang out with men, especially late in the evenings. This limits women from developing business relationships with their business partners,” he explained. “We men, and the society, need to break these wrong ideas and stop thinking women are unable to do things. If a woman is empowered and given an equal chance, you are contributing to the development of not only that woman, but also her family and her community,” Wai Phyo added. 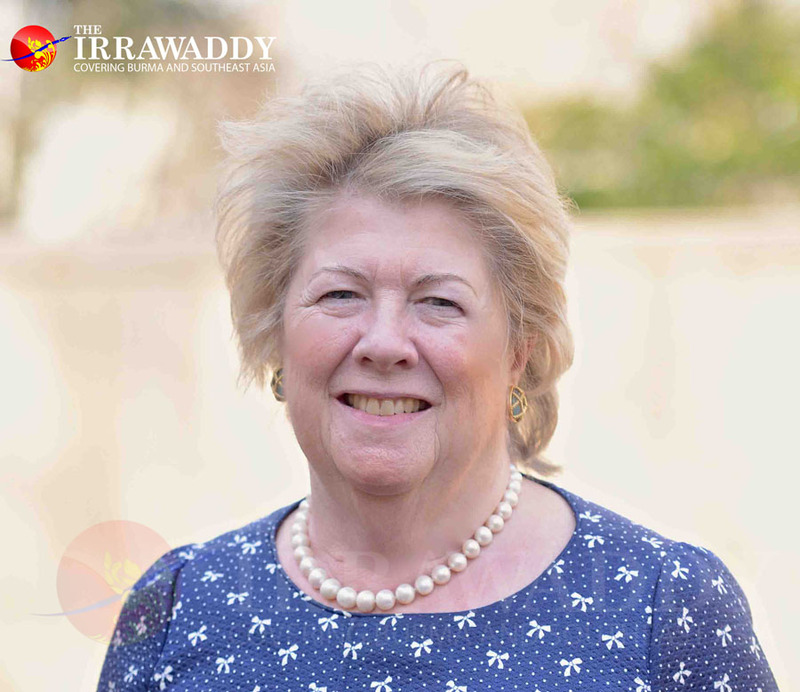 Baroness Mary Goudie is a member of the Labour Party in the British House of Lords and a founding member of the 30% Club steering committee. She also serves on the board of directors with the Vital Voices Global Partnership. For Mary Goudie, the case for diversity and gender equality is clear. “When a company has access to a full range of talent across the board, it is able to be more creative, to be more aware and therefore to take better decisions,” she explained. As a member of the global 30% Club’s steering committee—which aims to encourage corporate boards to reach a minimum of 30 percent women members—the Baroness has seen women chair banks like HSBC and Santander, and energy companies like Cisco and Petronas, to financial services groups like Goldman Sachs. “It is exciting to see visionary women and men embrace this challenge,” she said. Win Win Tint is the Chief Executive Officer of City Mart Holding Co., Ltd.
One of the reasons Win Win Tint promotes gender equality in her organization is that she doesn’t want to transfer what she sees as negative cultural norms to the next generation, she explained. The mother of two daughters and a son said that while there may be no written or easily visible forms of discrimination against women in Myanmar, unwritten beliefs and practices still widely exist in which women are considered supporting characters and defined as inferior to men regarding their religious status. Her employees enjoy equal rights, Win Win Tint said. At City Mart Holding Co.,Ltd, 75 percent of those in management are women, and 65 percent of a total of 8,500 staff in more than 170 outlets are also women. “I believe we don’t need to give special privileges or more opportunities to women or men. If we give equal opportunities, women can succeed. But the problem is that there are many places that are not giving this, resulting in a low number of women in leading roles,” she said. 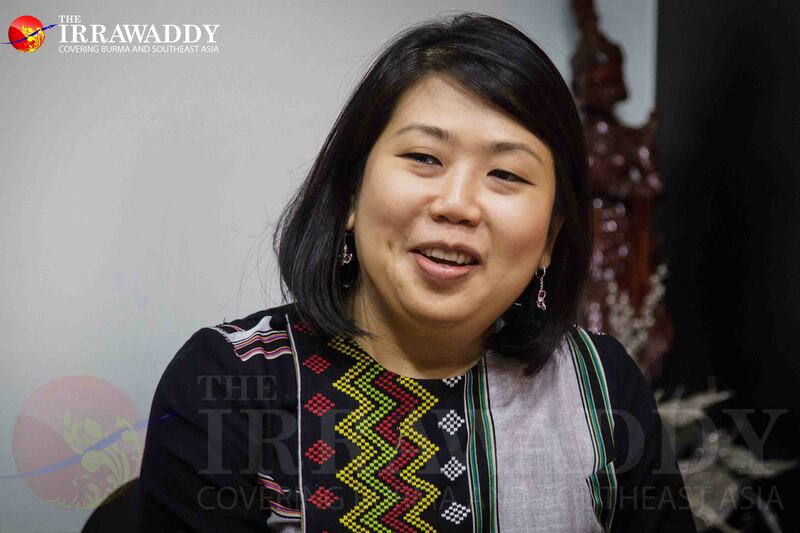 As the first Myanmar businesswoman included in Forbes Asia’s 50 Most Powerful Businesswomen of 2015, Win Win Tint said that more inclusivity towards women in her company has proven to be an advantage. “Promoting gender equality benefits us,” she said, referring to entrepreneurs like herself. “If the company gave promotions not based on gender but based on performance and skill, they would see improvements. Htun Htun Naing is the chairman and Chief Executive Officer of Blue Ocean Operating Management Co. Ltd. The company has expanded into various entities providing information technology services, including the Blue Ocean Contact Center. In October 2016, Htun Htun Naing’s Blue Ocean Contact Center opened a new hotline to provide legal advice for women suffering from domestic violence, in addition to other existing hotline services, including those related to astrology, health and blood donation. Created in consultation with female law experts, the new hotline has received around 1,000 calls mostly from Myanmar’s rural and border areas, regarding inquiries related to experiences of domestic abuse and sexual violence. When asked why he created a hotline to help domestic violence victims, the founder of the first outsourced call center in Myanmar said he wanted to provide a safe space for women where they could talk about the abuses they were facing freely and confidentially. The hotline, Htun Htun Naing envisioned, would be a way for them to seek resources and help through a simple phone call. He is also one of few male businessmen who actively promote and prioritize gender equality. 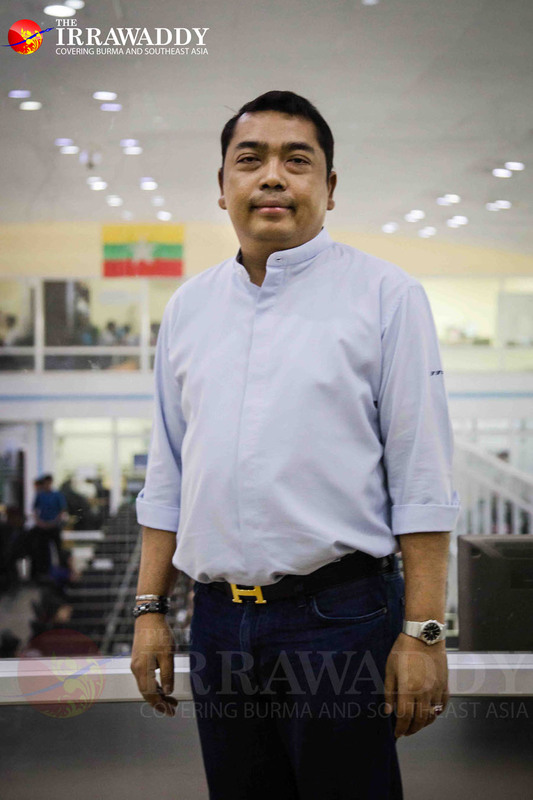 Htun Htun Naing said he has made sure not to employ gender-based discrimination in recruitment. He also emphasized how he has worked to ensure the safety and security of all staff in his business—including those on the night shift. There is even a night shift ferry which brings women back home at midnight. The call center provides part-time job opportunities for wives and mothers who want to work in their free time but cannot take on a full-time career. Because of measures like this, now 64 percent of staff in the 24-hour call center are women. As a father of two daughters, Htun Htun Naing said that the age has come to an end in which women are forced to take on traditional roles as housewives or housekeepers. “Men need to change their mindsets and give equal chances to women,” he said. 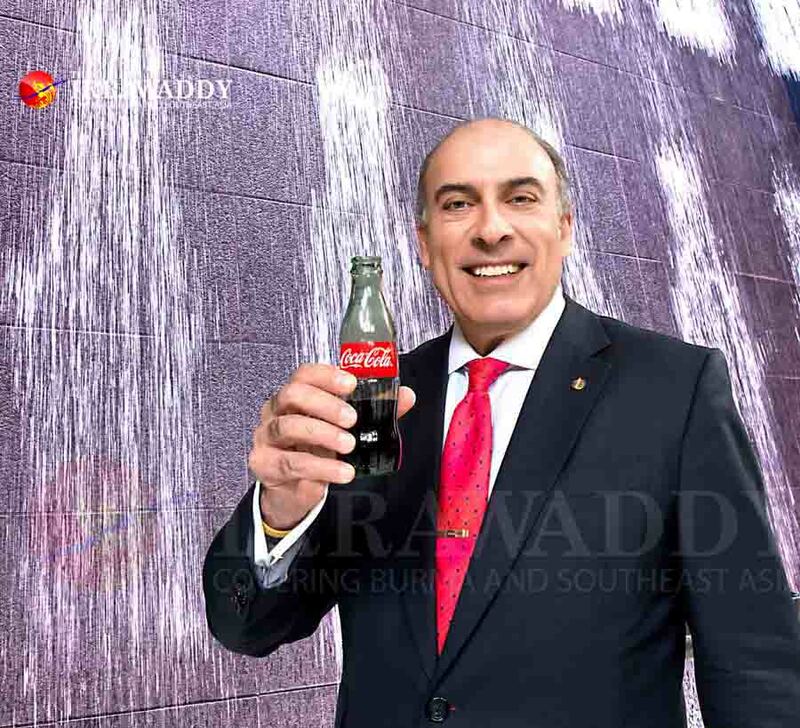 Muhtar Kent is the chairman and CEO of The Coca-Cola Company. He launched Coca-Cola’s 5by20 global initiative which aims to economically empower 5 million women entrepreneurs by the year 2020. Through his leadership in advancing opportunities for female employees at The Coca-Cola Company, Muhtar Kent created the Women’s Leadership Council with female executives. The WLC develops strategies, initiatives and metrics to advance both female leadership and gender balance within the company. The CEO and chairman of Coca-Cola premiered the company’s 5by20 initiative in 2010, a global commitment to support 5 million women entrepreneurs across the company’s value chain by 2020. Currently, programs are being implemented in more than 60 countries to address the barriers to success faced by female entrepreneurs. The initiative offers business skills training courses, financial services and assets, and access to networks of peers and mentors. In Myanmar, Coca-Cola is partnering with Swan Yi—a village-based savings and microenterprise development program—to form banking groups managed and sustained entirely by the women themselves. Since mid-2012, Swan Yi has empowered more than 32,500 women across five regions in Myanmar through education, training and capacity building. Participants had eleven times more personal savings than at the beginning of the program, and approximately one-third, or 8,500 women, had started a new business or expanded existing enterprises.